The original sound track recording of the CBS television special. 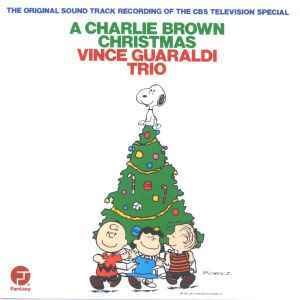 Album is credited to Vince Guaraldi Trio on the cover, but just Vince Guaraldi on spine and CD face. http://www.fantasyjazz.com • Fantasy Records, Tenth and Parker, Berkeley, CA 94710. ℗ 1988 Fantasy, Inc.
© 1950, 1952 United Feature Syndicate, Inc.